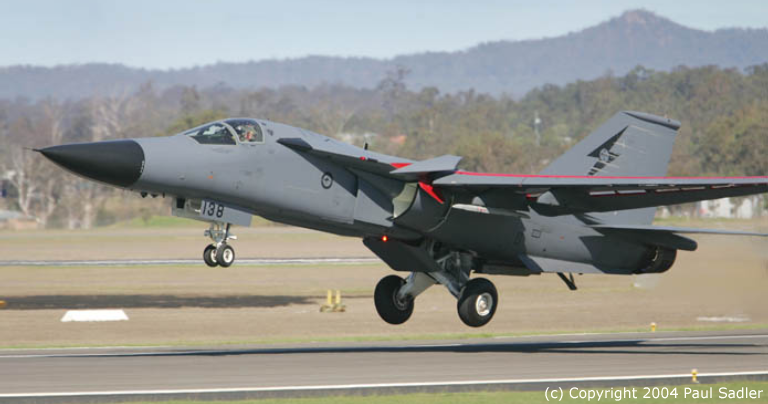 By far the best recent example of bureaucratic incompetence and dishonesty in Australia's DoD is the completely arbitrary decision to prematurely retire Australia's F-111 fleet, which at full strength accounted for over 50 percent of Australia's striking capability (Image © 2009 C. Kopp). 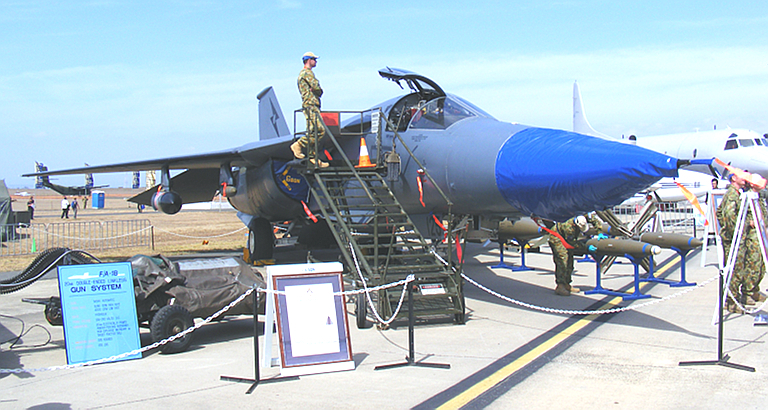 The F-111 was until recently the backbone of the RAAF providing at full strength more than 50% of the strike capability in the existing fighter fleet. In late 2003, the Defence bureaucracy in Canberra successfully convinced the Defence Minister that the F-111 would be too expensive to operate past 2010, and gained Federal Government approval to retire the aircraft in the 2010 timescale, after earlier unsuccessful attempts to effect a retirement in 2006. The decision to retire the F-111 has been neither popular, nor widely accepted as necessary in the expert community. Built in the late 1960s, the F-111 is a contemporary of the US B-52H and B-1B bombers, both of which the US Air Force intends to operate well past 2030. 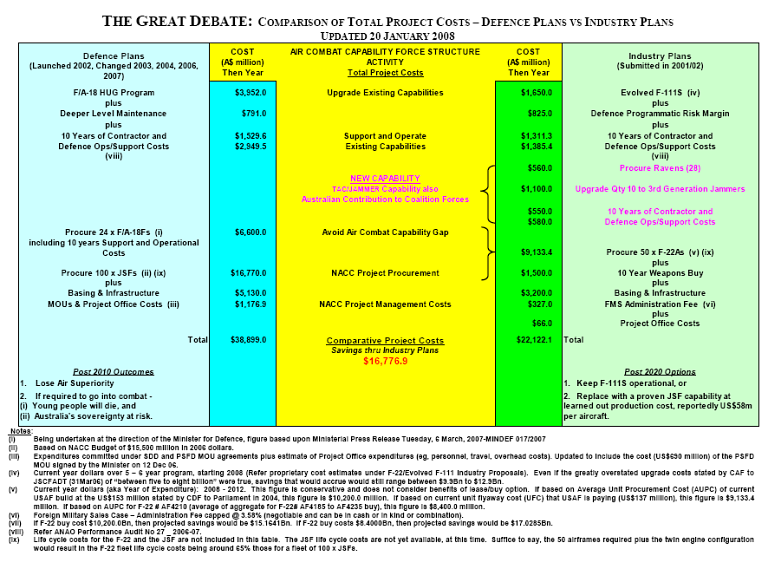 None of the arguments presented by Defence in Federal Parliament to justify the early retirement of the F-111 were successfully defended in the public debate, as none were truthful. The plan for early retirement of the F-111 has resulted in a vigorous public debate in the press and the parliamentary commitee system. This website will post a selection of relevant articles, submissions and papers. HeadsUp Newsletter Issue 291 Over the Hill - and far away? HeadsUp Newsletter Issue 303 Faster than a speeding bullet . . .
HeadsUp Newsletter Issue 304 Stealth: Now you see it . . ? EF-111A Ravens for the RAAF? Response to Fred Haddock's Critique of "Ravens for the RAAF ?" Sea Control - Submarines or Air Power? 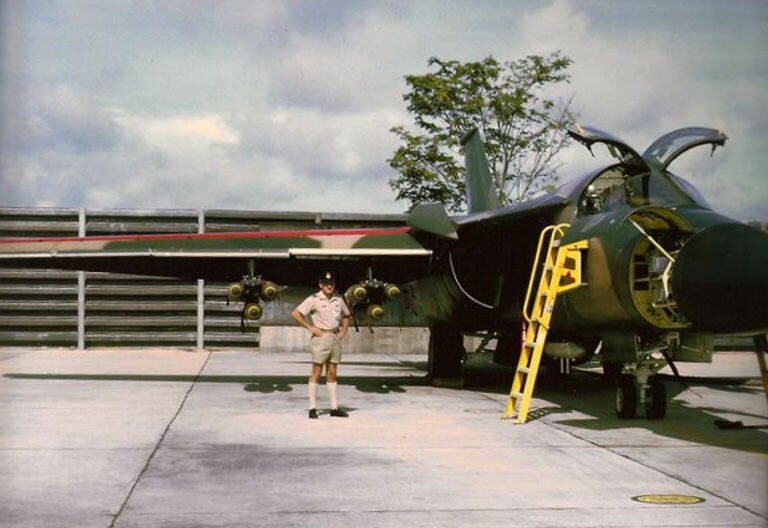 In 1968, the USAF deployed 6 F-111A aircraft (Det 1, 428th Tactical Fighter Squadron) to Takhli AFB, Thailand, to conduct an operational evaluation against targets in North VietNam. Originally code-named Harvest Reaper, this deployment was subsequently renamed to Combat Lancer. The F-111A was under a bit of a cloud as the static test model had fractured earlier than expected and the Australian Government was getting very nervous over the impending acquisition of the F-111C. What is not widely known, or even understood in Australia to this day, is that the air war over North Vietnam was conducted primarily from bases in NE Thailand and not from South Vietnam. USN carrier-borne aircraft also participated as did B-52 forces from Guam and U-Tapao, the latter also in Thailand. The RAAF requested participation and was granted observer status. Some half dozen RAAF officers completed 42 day detachments to Takhli, usually in pairs, arriving in and leaving South Vietnam via our routine C-130 service. At Takhli, we were treated extremely well by the 428th and given access to all data. Over the period, the squadron had lost two aircraft, recovered both crews, and modifications had been made to the suspect wing carry through box. Rigorous training missions were flown and the aircraft resumed operations (Image and caption text © 2011 Roy Collinson). 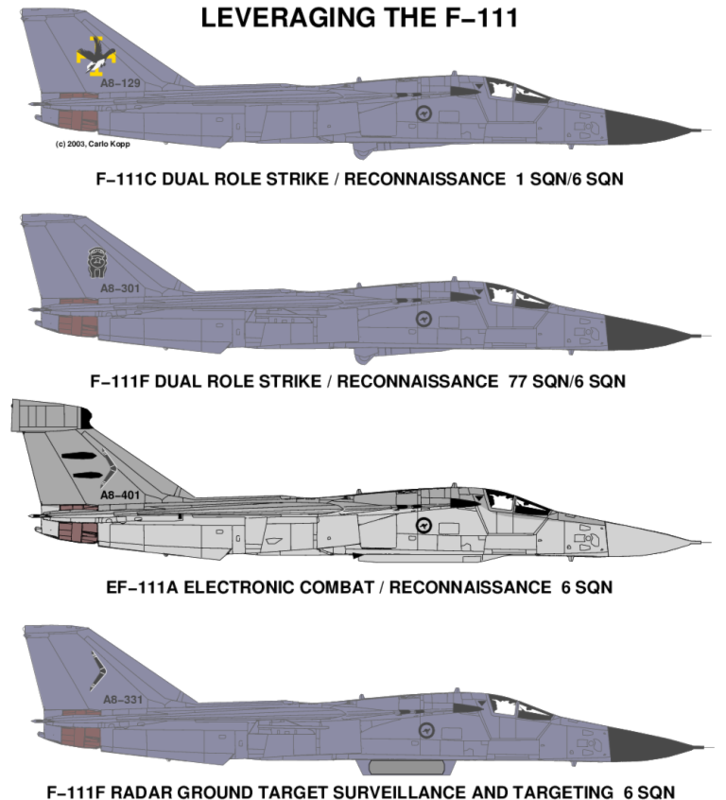 F-111C A8-129 in legacy and current camouflage. 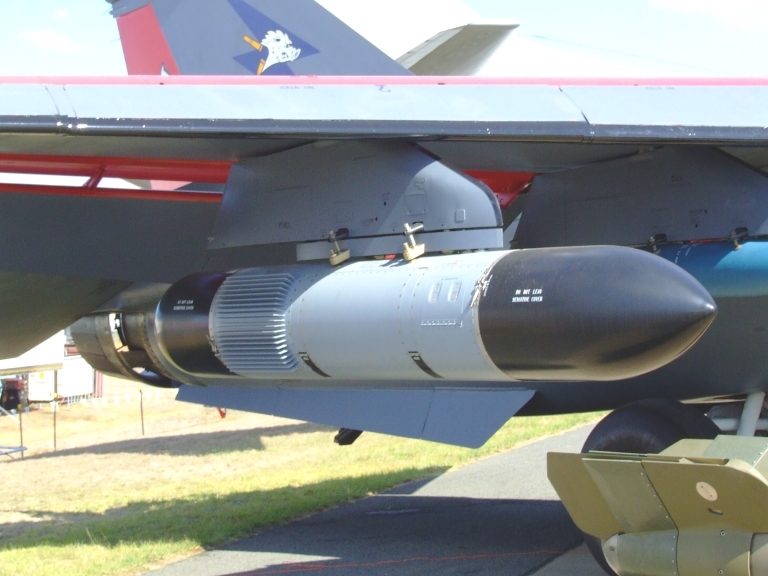 AGM-142E Popeye Stand Off Weapon on F-111C (Image © 2007 C. Kopp). 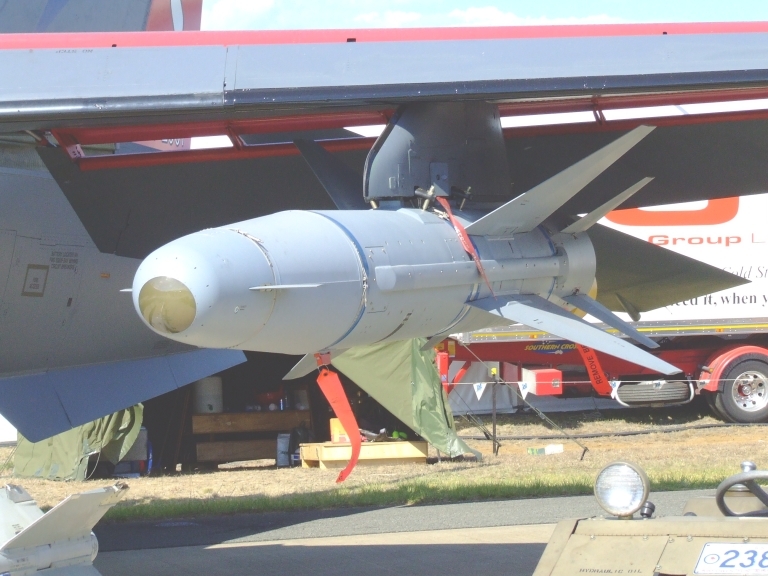 AN/ASW-55 Datalink pod on F-111C (Image © 2007 C. Kopp). 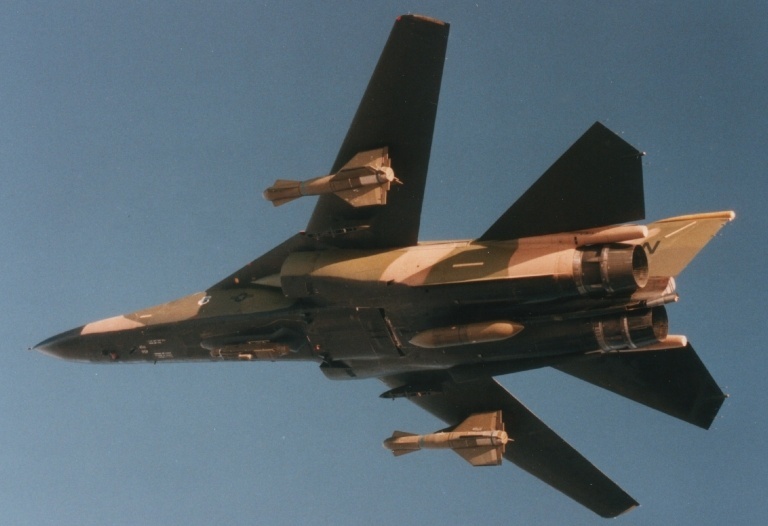 The F-111F was the most capable US Air Force variant, this example armed with four GBU-10 laser guided bombs and with its AVQ-26 Pave Tack electro-optical targeting pod deployed. The F-111 played a pivotal role in the destruction of Saddam's forces in 1991, as well as distinguishing itself during the Linebacker II campaign and El Dorado Canyon strikes. Around 70 F-111Fs, a large fraction with new Pacer Strike avionics, are mothballed now at AMARC (U.S. Air Force photo). 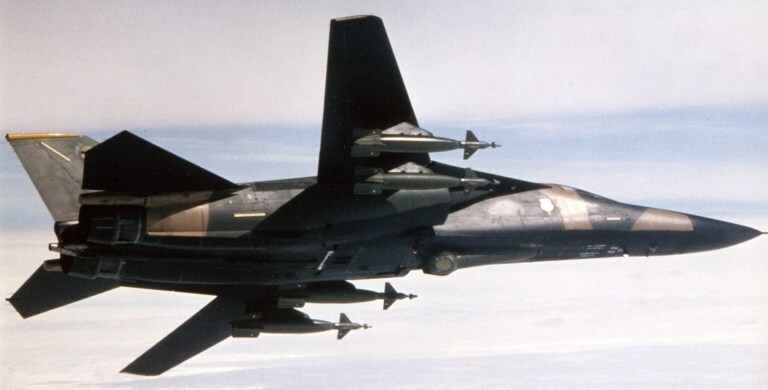 The F-111F was equipped to carry the GBU-15 electro-optically guided glide bomb, and later the powered AGM-130 stand-off weapon - RAAF aircraft were armed instead with the Israeli Rafael AGM-142 SOW (Jim Rotramel via F-111.net). US Strategic Air Command FB-111A aircraft carried nuclear armed AGM-69 SRAM defence suppression missiles in the internal weapon bay, which all F-111s were built with. Australia's F-111 has played an important role as a test platform for clearing a wide range of new internally carried munitions being developed for the F-22A and later JSF (U.S. Air Force photo). The F-111 is an unusually versatile high performance aircraft, and has been used as a strike fighter, support jammer and also a testbed vehicle for carrying a long range SAR/GMTI radar in high threat environments. 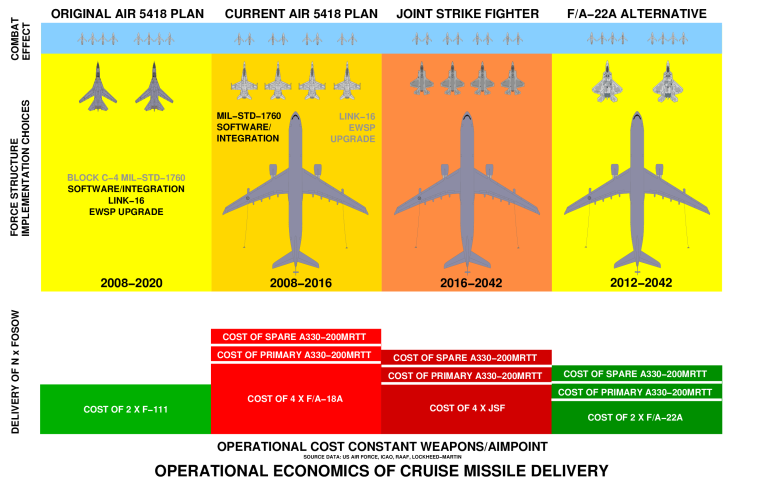 With over 200 mothballed airframes available in AMARC, the aircraft has the potential with upgrades to remain in service well past 2020, and fulfill a much wider range of roles than currently used for.